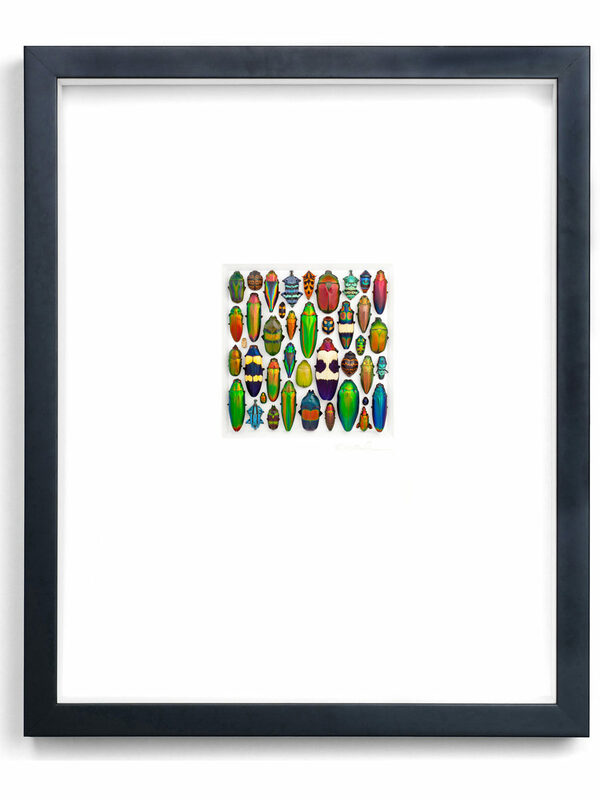 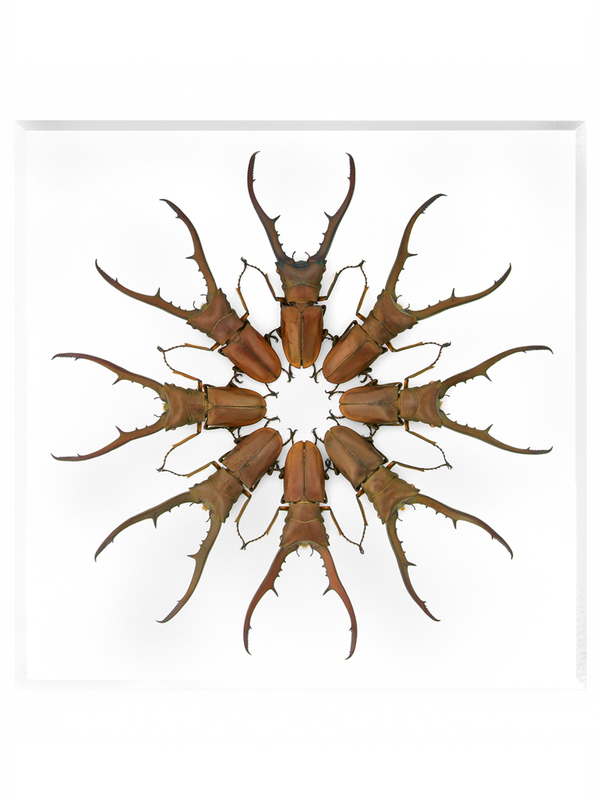 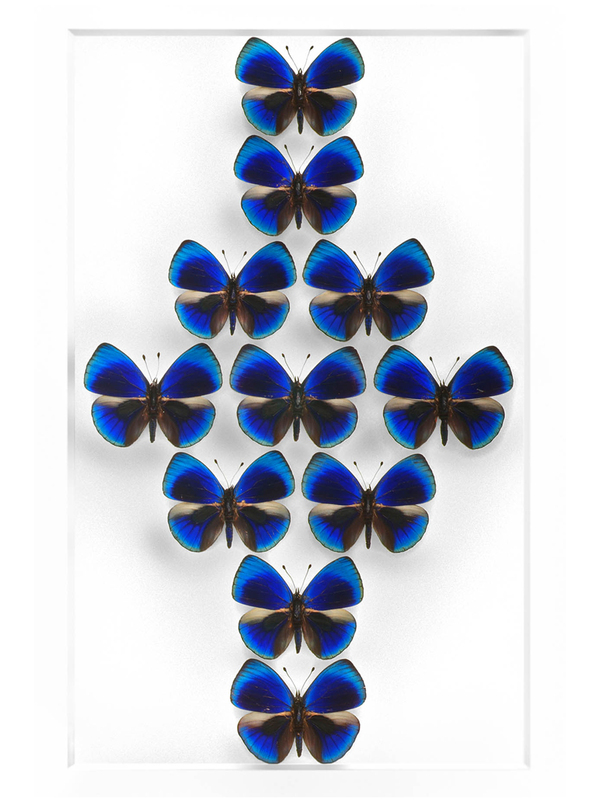 Our 16×20 Coleoptera Mosaic is a rare offering of unusual, exotic insect species from nearly every corner of the planet. 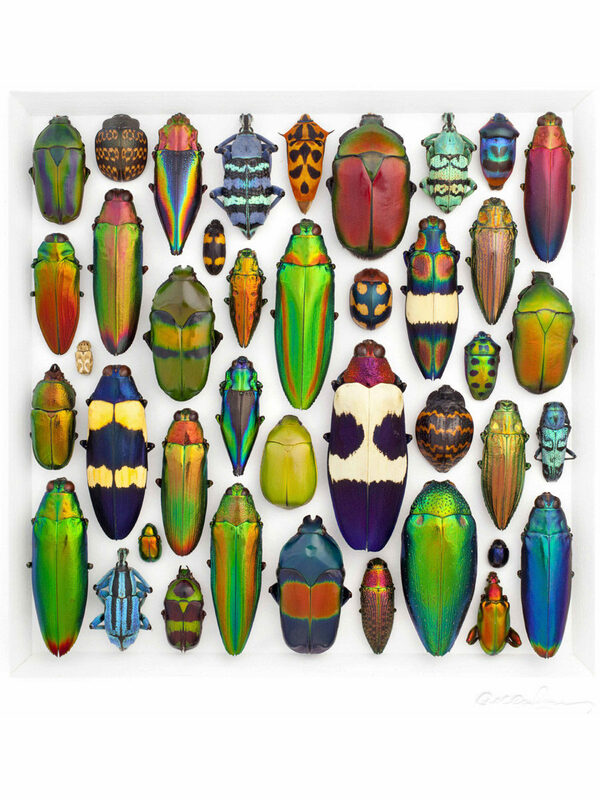 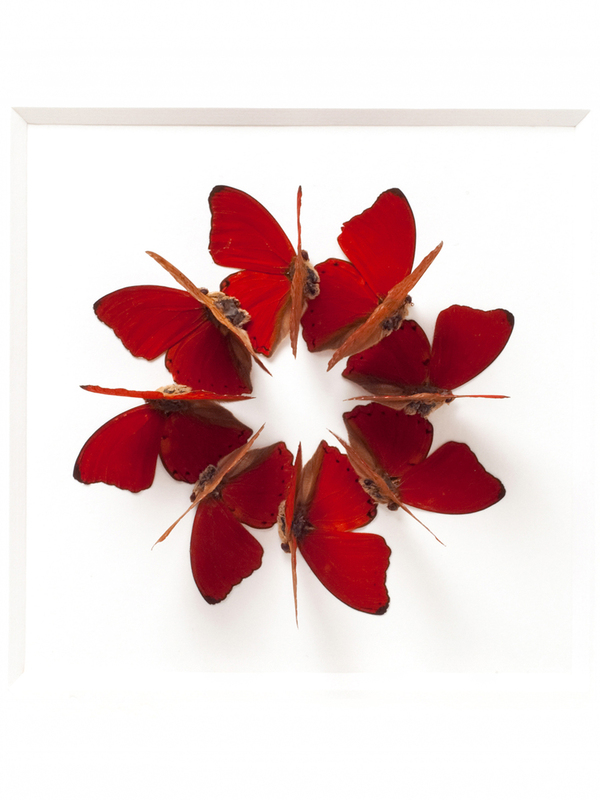 Selected for their brilliance and distinctiveness, each specimen contributes to a meticulous arrangement of varied colors and textures creating a breathtaking palette of nature’s most outrageous diversity. 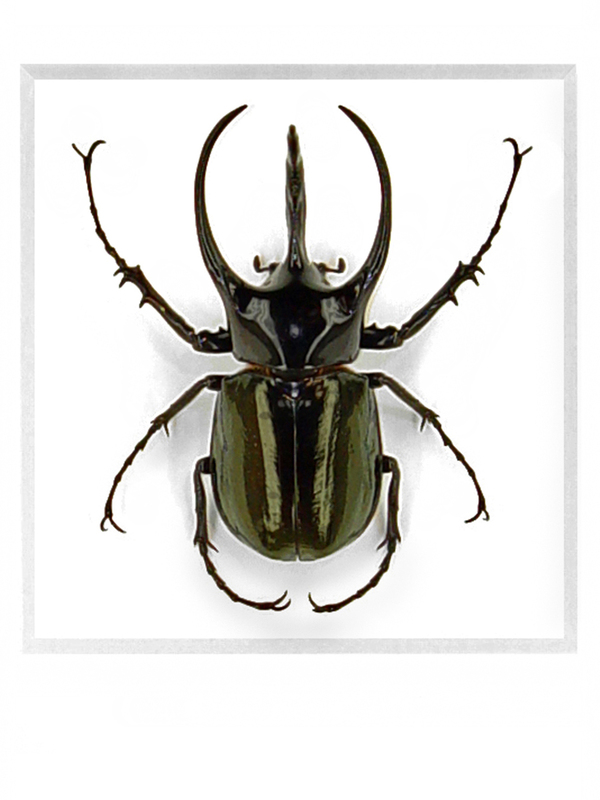 Included are species from Latin America, Australia, Asia, Europe and Africa.